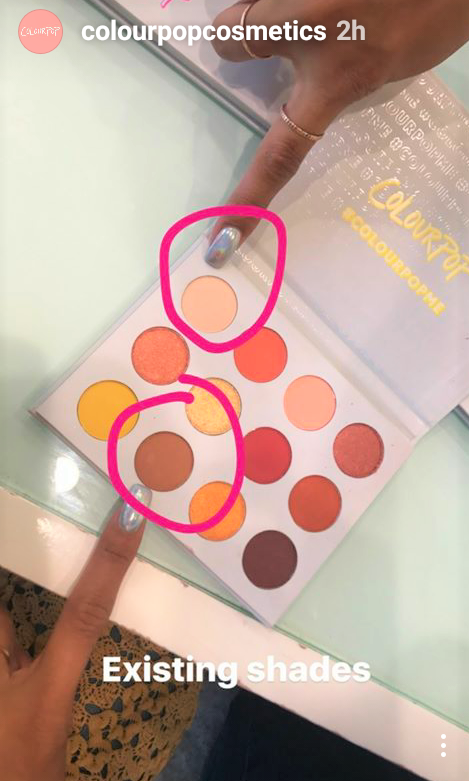 Okay beauty lovers I just found out via ColourPop's Instagram page that their new palette that I thought was called Cute AF is actually the Yes Please palette. I made the corrections on the title and below. 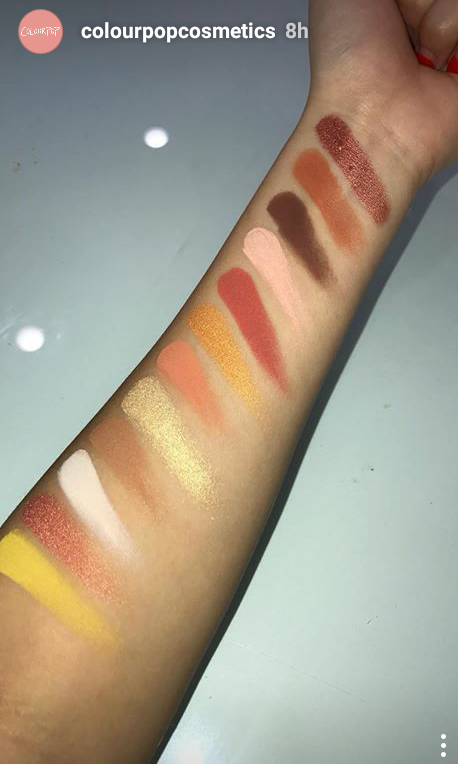 Plus I added one more picture from their IG Story that gives you more info about the palette. ColourPop says that the palette is made with 2 existing shades from their pressed eye shadow line. Thanks for taking the time to read. Makeup brands are on fire with their new releases and as always ColourPop Cosmetics is launching another product. 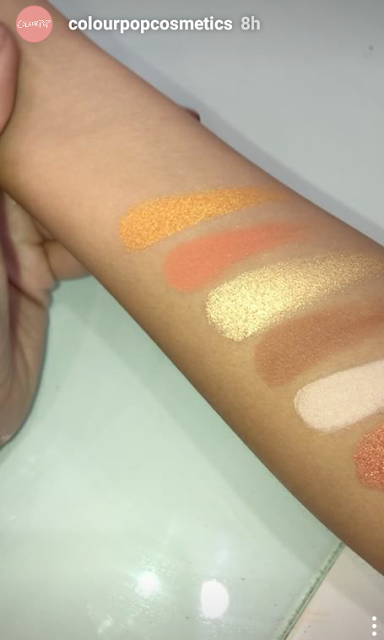 This time around they're launching a 12 color pressed eye shadow palette. The Cute AF Yes Please palette launches tomorrow, Friday June 15th at 10 a.m. (Pacific Time). 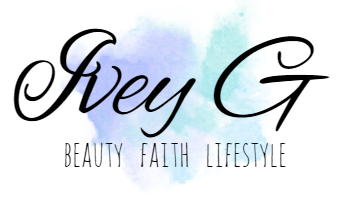 I'm just loving the colors in this palette since they are warm with touches of copper, and trendy mustard shades. 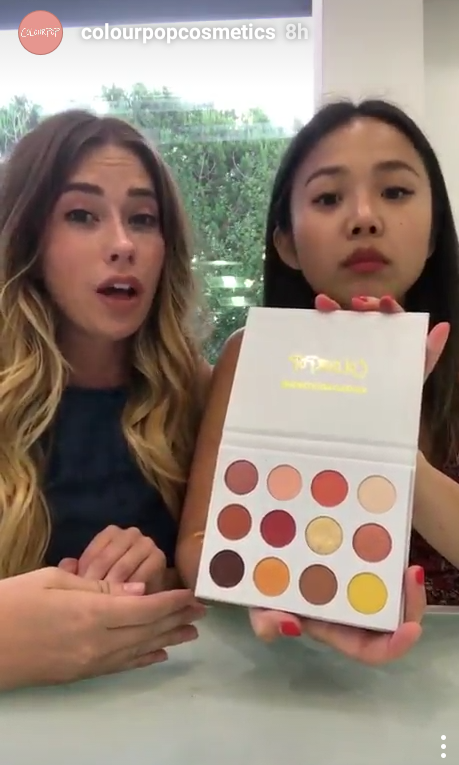 The girls of ColourPop Cosmetics gave us a sneak peek plus swatches of the new ColourPop Cute AF Yes Please Eye Shadow Palette. 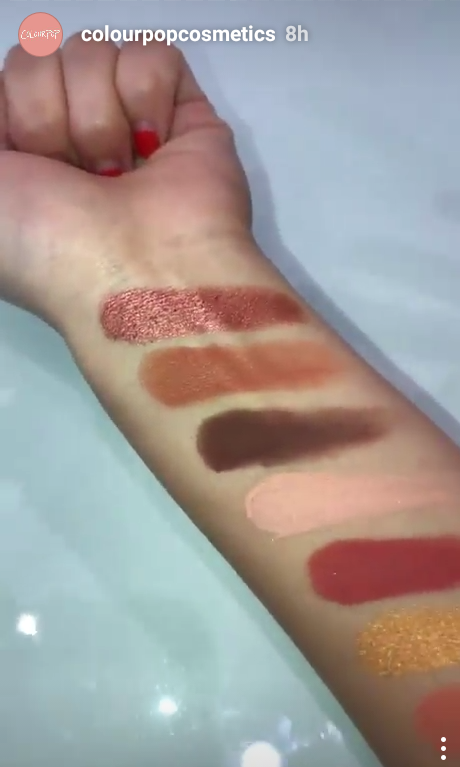 How beautiful are the swatches? I personally think they look so creamy, and rich in color. As I watched them swatch each shade, I was like I need the Cute AF Yes Please palette in my life. 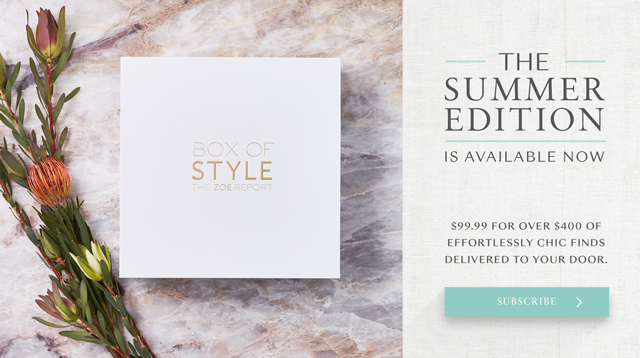 I mean, I just can't believe the price either $16 for 12 highly pigmented eye shadows, yes please! 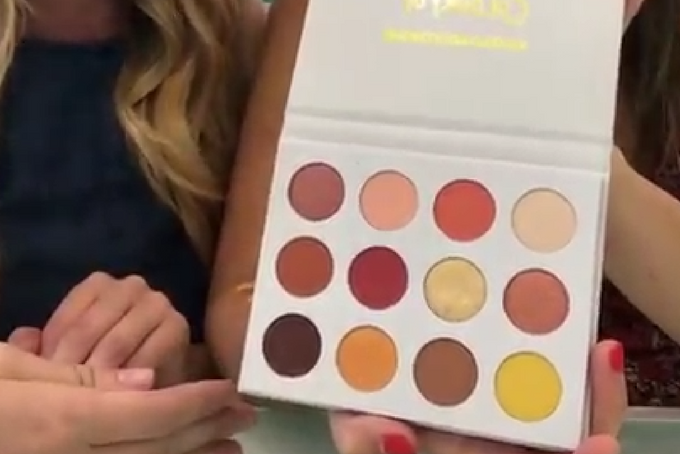 It's been awhile since I placed a ColourPop Cosmetics order and I think I'm just gonna have to purchase this new palette. 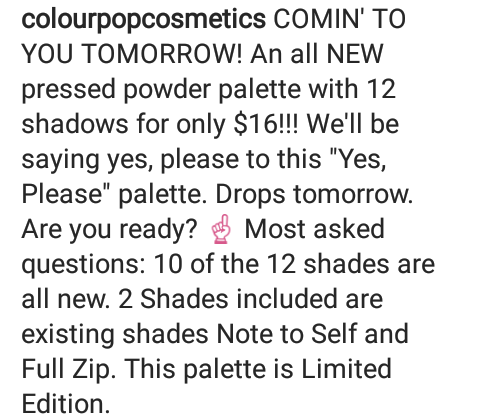 The ColourPop Cute AF Yes Please 12 Color Pressed Eye Shadow Palette will be available for purchase Friday June 15th and will retail for $16. 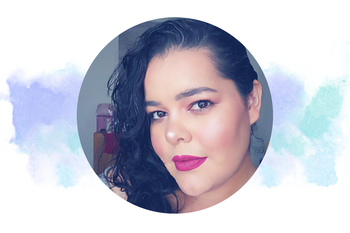 For more product information and to keep updated on new releases follow ColourPop Cosmetics via Instagram here. What do you think of the new Cute AF Yes Please eye shadow palette, is it on your list?